Dresses will start at just $400 at this bridal gown sale at Designer Loft, open on Friday 9th to Sunday 11th September, and then Friday 16th to Sunday 18th September. 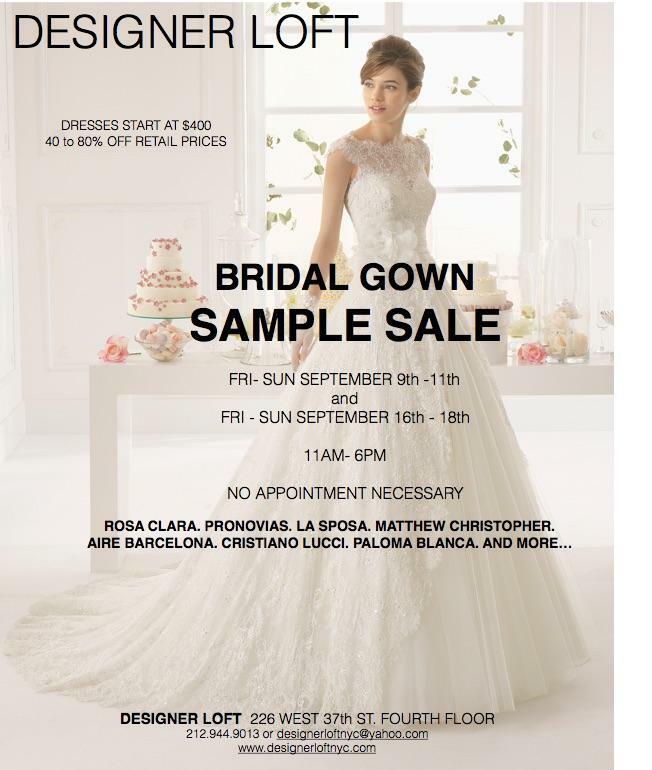 Look out for gowns from Pronovias, Rosa Clara, Jenny Packham, Matthew Christopher, Paloma Blanca, La Sposa, Christiano Lucci, and more - with between 40-80% off retail prices! There will be a range of sizes and styles on offer - and there's no appointment required during the event.